One of the few downsides of homeownership is how much maintenance your backyard can require. Sometimes it can seem like you’ve only just weeded the garden or mowed the lawns, and suddenly it needs to be done again. Therefore, it’s essential that you purchase the right tools so you can get the job done quickly and efficiently, and hedge trimmers are no different. Having a quality hedge trimmer can make all the difference. They need to be lightweight, easy to handle, low maintenance and have a decent trimming capacity. We’ve included nine options below, all of which are top-rated on the market for homeowner convenience. 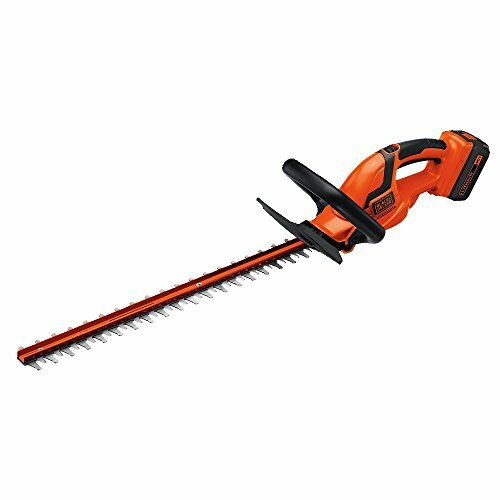 This powerful 20V Black + Decker Hedge Trimmer is tackling the outdoor power equipment market head-on. 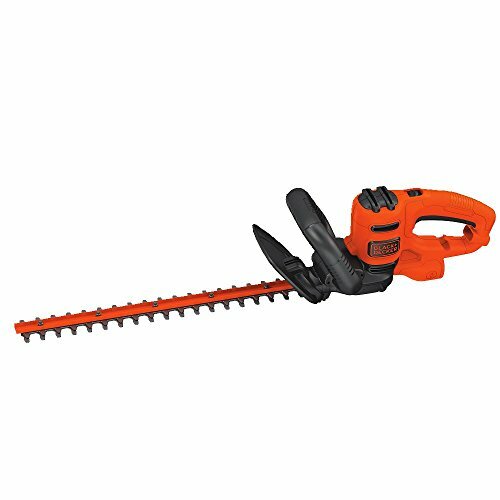 Not only does it offer the convenience of being cordless while delivering extended run time and power, but it’s comfortable to use, trims branches up to ¾-inches in diameter, and has a dual action blade. Experience less vibration, less discomfort, and faster hedge trimming time! This hedge trimmer is part of the 20V MAX system, which means you can interchange the battery with a range of other Black + Decker products. It doesn’t get much better than that! 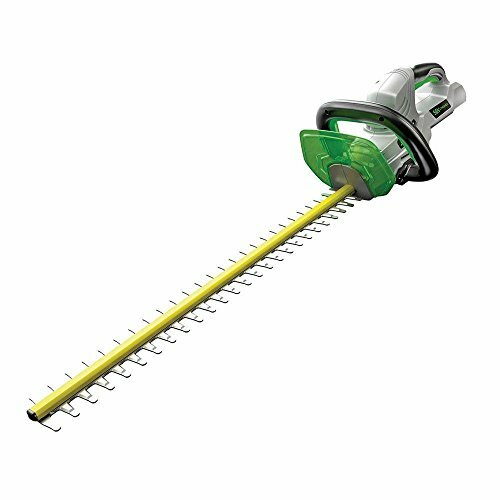 If you’re looking for a cost-effective way of making short work of hedge trimming, this Greenworks Hedge Trimmer might just tick all the boxes for you. If you already own Greenworks products, you can benefit from a lower purchase price by buying it without the battery and charger. However, even with the battery and charger, it’s more than affordable for the average homeowner. This trimmer is powered by a 24V lithium-ion battery and is compatible with both Greenworks indoor and outdoor tools. 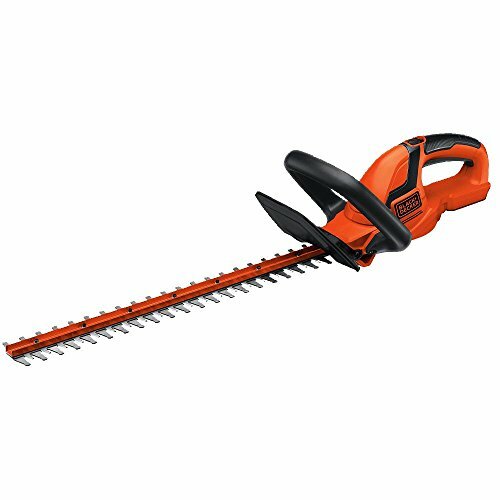 It cuts through the hardest hedge wood with ease with its 20-inch steel dual-action blade and is also exceptionally comfortable and easy to use. The 5/8-inch cutting capacity and 3-position pivoting head both make the cutting of hedges and bushes a breeze. Cut at multiple angles, enjoy the optimum performance, and reap the rewards of a trimmer that’s built to last. Trimming hedges and bushes with a corded hedge trimmer can be dangerous, so Black + Decker buck the trend with their cordless trimmer powered by a 20-volt MAX lithium-ion battery. It has a longer lifespan than several other cordless trimmers on the market, all the while featuring an Energy Star-qualified charger for less environmental impact. This affordable trimmer can be purchased with or without the battery and charger and boasts a comfortable and efficient cut every time. 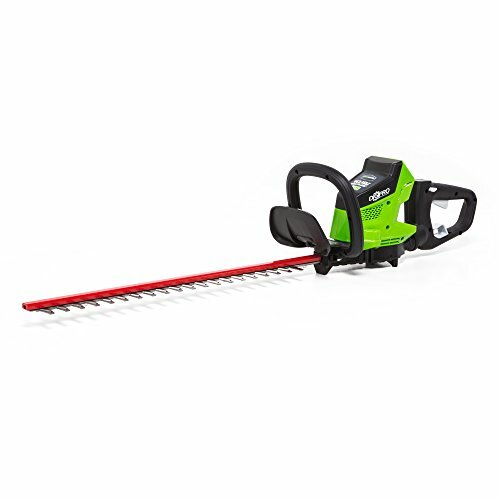 It can make short work of branches up to ¾-inch thick with the 22-inch dual-action blades and can cut up to 3,000 square feet of hedges on just one charge. Your comfort is also to the fore, with 40 percent less vibration on offer to reduce the risk of fatigue. Sealing the deal is the 2-year limited warranty, which makes this Black + Decker Hedge Trimmer one of the best on offer. This Sun Joe Hedge Trimmer is brought to you by Snow Joe, suppliers of quality battery-powered outdoor power equipment. Designed to tackle small gardens, hedge grooming, and any areas your mower can’t reach, it’s a convenient and inexpensive tool any homeowner would be happy to own. Unlike most other hedge trimmers on the market, this one also features two devices in one. You can use it as a grass shear; then in seconds, it becomes a hedger. It features a long-life 7.2-volt lithium-ion battery and comes with the battery and charger for your convenience. Lightweight, easy to use, comfortable with an ergonomic handle and featuring a 2-year warranty, it’s clear to see this Sun Joe product is in a league of its own. 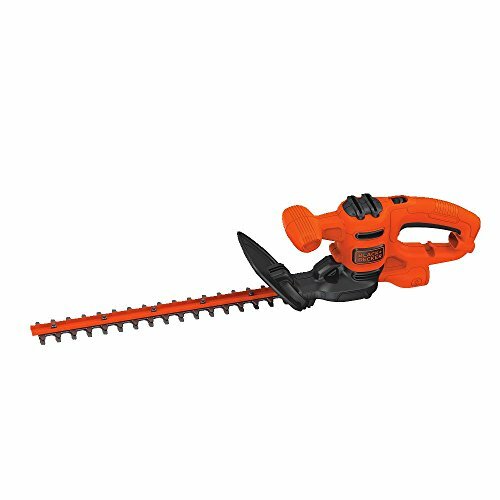 If you like your garden tools to be versatile, affordable, yet hardy to make quick work of all kinds of outdoor tasks, this Garcare Hedge Trimmer could be for you. It features a 4.8 amp motor, a ¾-inch cutting capacity, and has a 2-in-1 design for both handheld trimming, and trimming on a pole. It also has a 20-inch laser cutting blade, is made of rust-resistant hardened steel, and has a 6-position pivoting head to get into those hard-to-reach places. The sky’s the limit when it comes to what this hedge trimmer can do, for it also has a 5-position rotating rear handle for trimming at all kinds of angles, as well as an aluminum telescopic tube for extending nine feet in the air. You can even do so comfortably with the rubber grip handle. For the price, you get a lot of bang for your buck which makes this a very popular option for a range of homeowners. Performance matters the most when it comes to hedge trimmers, and this Greenworks trimmer certainly delivers. It has a G-MAX 40-volt li-ion battery system to power all kinds of Greenworks power tools and even comes with a 2AH battery and charger for your convenience. Benefit from the 180-degree rotating rear handle for those hard-to-reach spots, and enjoy the comfort of the wrap-around auxiliary handle that will mean less fatigue over a period. What’s more, the 24-inch dual-action steel blade offers premium cutting performance, all the while reducing the vibration typical of many other trimmers. 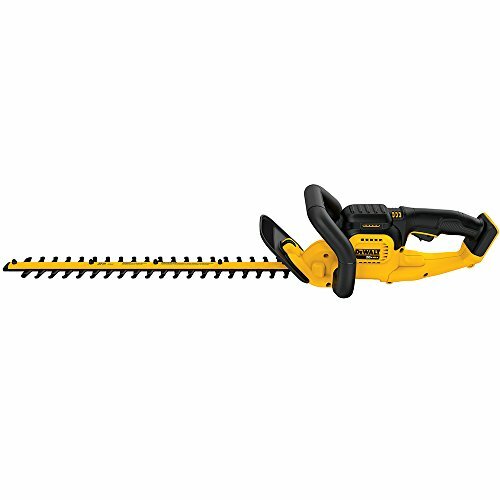 This trimmer is capable of cutting through branches of 2/3-inches in diameter and can make quick work of yard clearing. DeWALT is known for their quality tools, and this hedge trimmer is no exception to the rule. 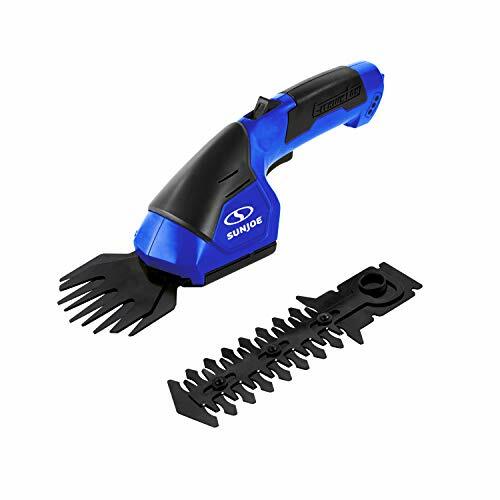 While you have to purchase the battery separately, you still benefit from vast amounts of power, a hooked-tooth guard blade to cut branches up to ¾-inch thick, and robust housing for superior durability. This trimmer meets the mark when it comes to clearing a backyard with ease. The 22-inch laser cut, dual-action blades work quickly and efficiently, and you’re less likely to suffer from fatigue with the wrap-around auxiliary handle for comfortable grip. It’s lightweight, easy to use, and will suit any homeowner’s requirements to a tee. This Remington hedge trimmer is one of the most affordable on the market, and it indeed offers plenty of bang for your buck. Aside from being nimble, lightweight and comfortable to use with an ergonomic cushioned grip, it also has a powerful 5-amp motor to see you through the toughest trimming tasks. It has 24-inch titanium-coated dual-action blades, and this helps to cut through branches of up to ¾-inches in size. Adding to the pure convenience on offer is the 180-degree rotating handle which is known to increase the levels of versatility while providing nice, clean cuts every time. If you’re not sure if this trimmer is the right one for you, enjoy peace of mind offered by the 2-year limited warranty. It might be a case of leaving the best for last, for while this hedge trimmer is one of the most expensive on the market, it’s also one of the best. It has a Smart Start engine and starter motor to enable it to start quickly and easily. This is due to the carburetor air purge system which removes air from the carburetor and fuel system. As a result, starting – even from cold – is a breeze every time. Once you’re finished trimming your hedges, and you’ve turned it off, the stop switch returns to the start position by itself, enabling it to start again easier the next time you use it. The rear handle is also adjustable so you can cut the sides and tops of hedges with relative ease. To reduce the risk of fatigue, homeowners can also benefit from the anti-vibration dampeners which absorb vibration. The result is less stress on your arms and hands as you clean up the backyard.